Our newest addition to the fleet is a tracked mini loader. Driven by a powerful 25hp diesel engine this mini loader is suprisingly powerful for its size as well as surprisingly easy to operate!. Standing on a sprung platform at the rear, a great feature on this machine is the joy stick control for the steering and drive, as well as a separate control for the arm lift and bucket operations- full control at your fingertips and at only 1050mm wide it gets into tight access areas easily. 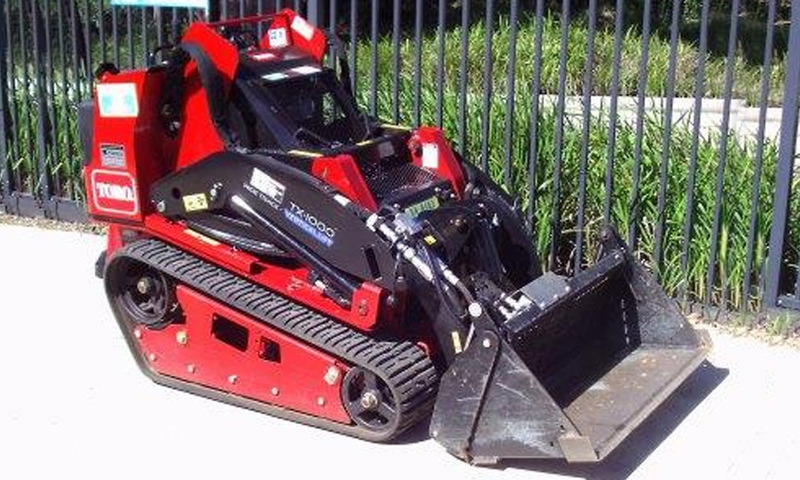 We have a range of attachments including an adjustable grader blade, trencher, hydraulic grapple, rake/leveller/carryall, auger, ripping tines and even forklift tines to suit this machine. This unit weighs in at around 1290kg so a vehicle with a tow capacity of at least 2000kg is suitable to tow the machine and trailer combination. Call us now on 47511833 to reserve one in.